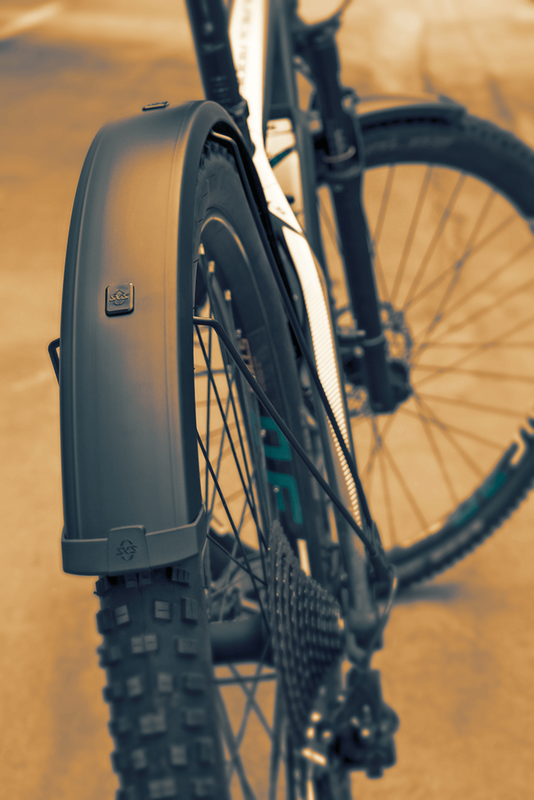 Enjoy cycling in any weather. 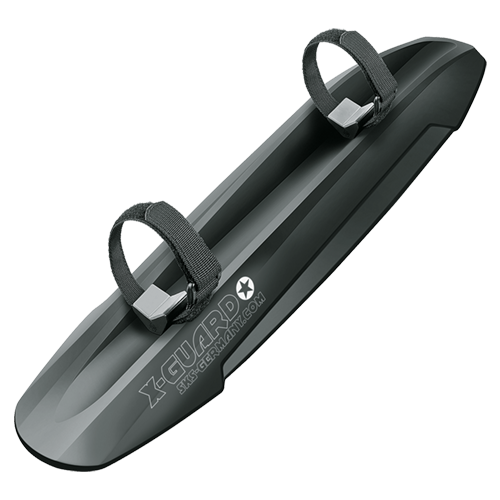 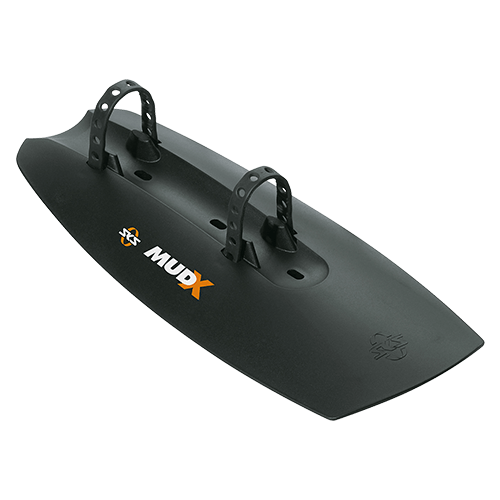 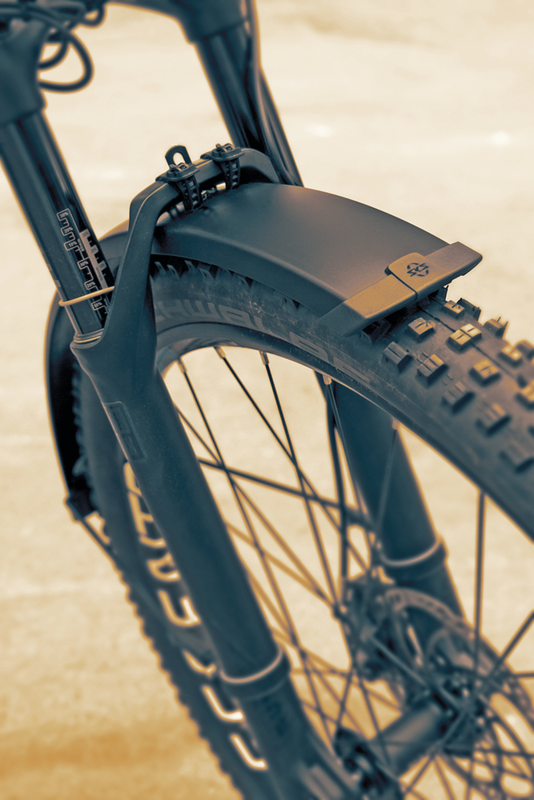 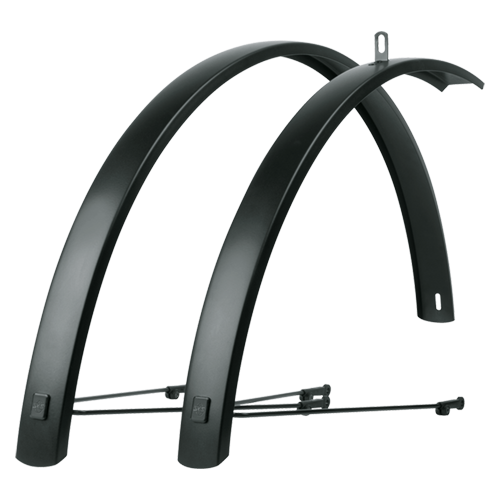 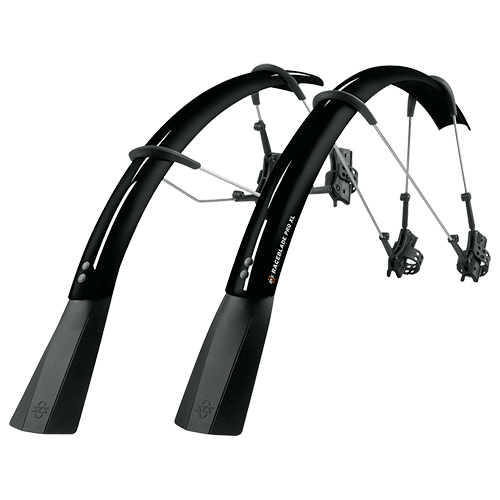 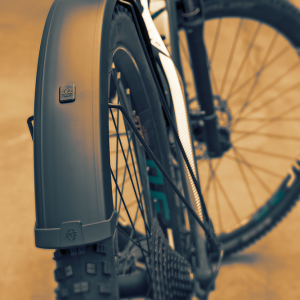 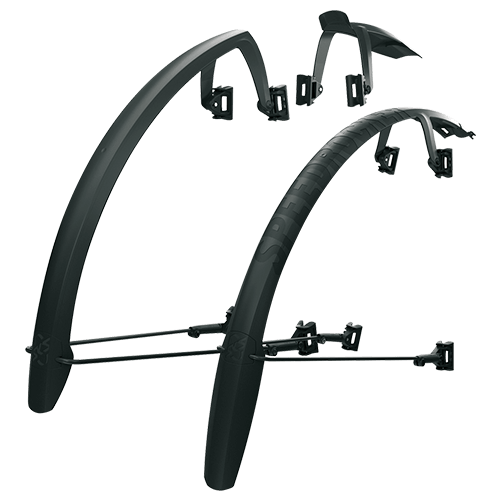 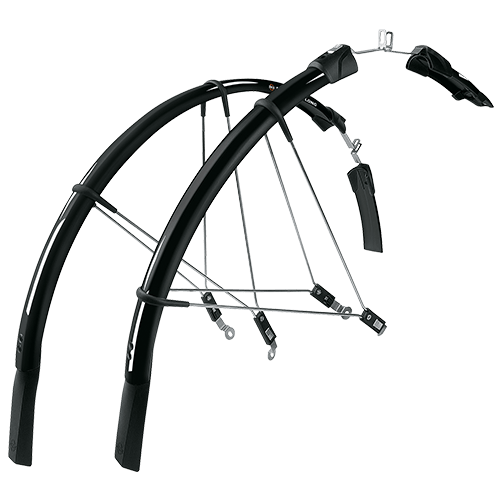 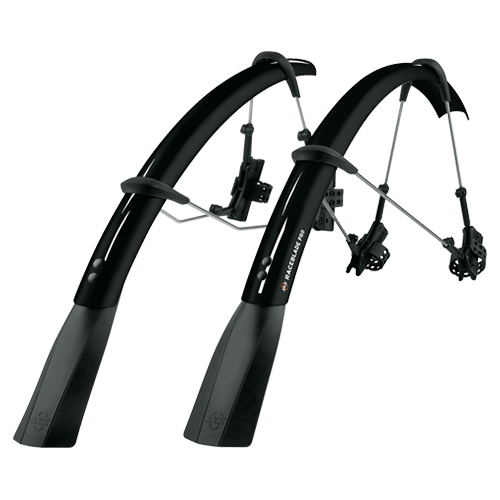 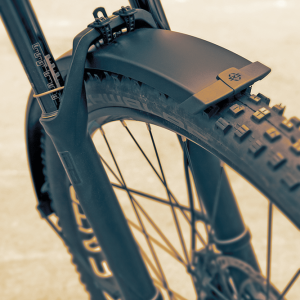 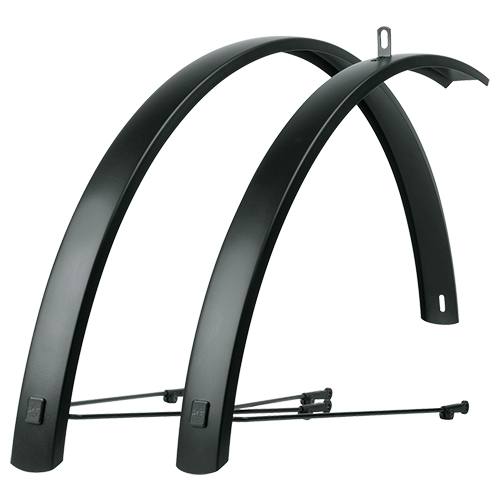 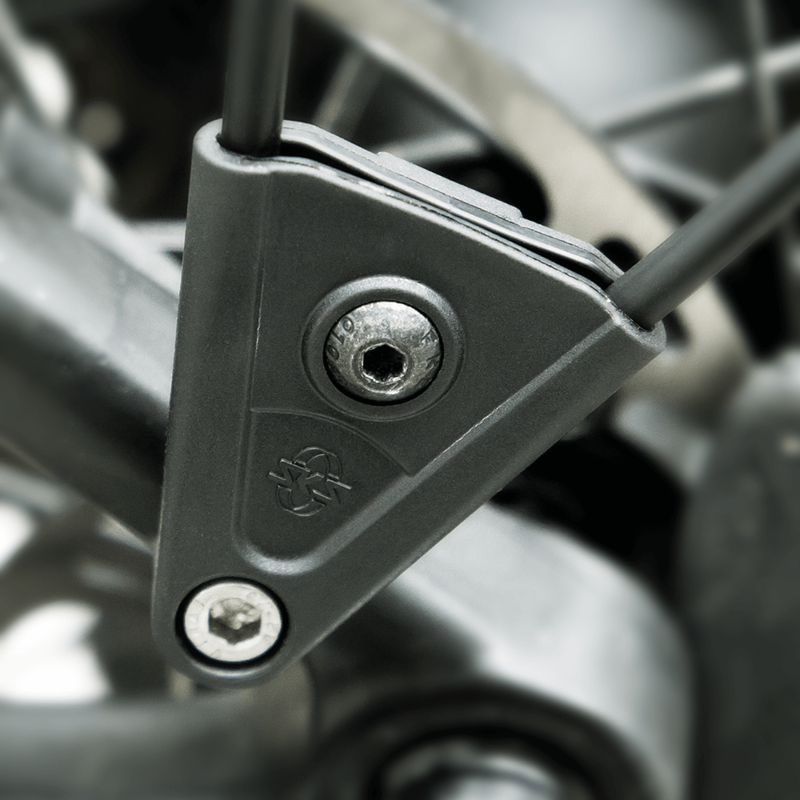 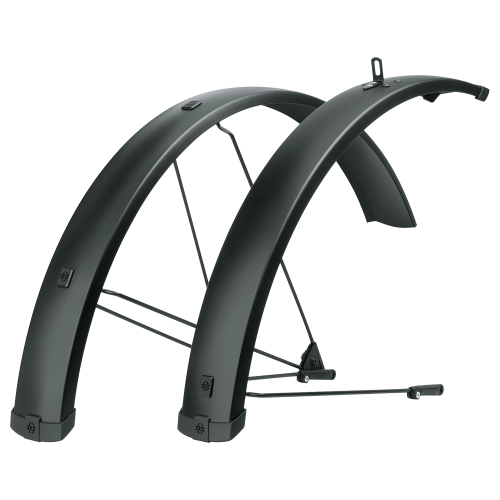 The BLUEMELS 75 U fender covers tyre widths up to 65 mm. 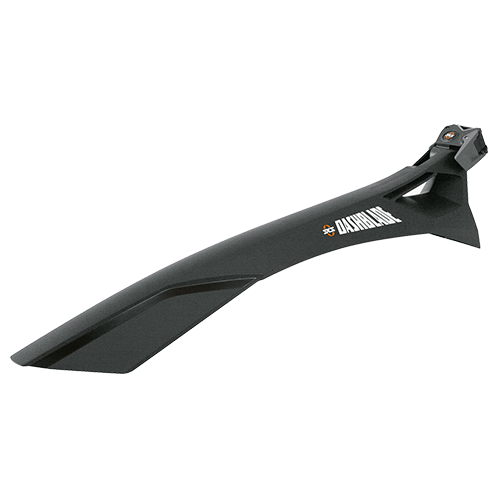 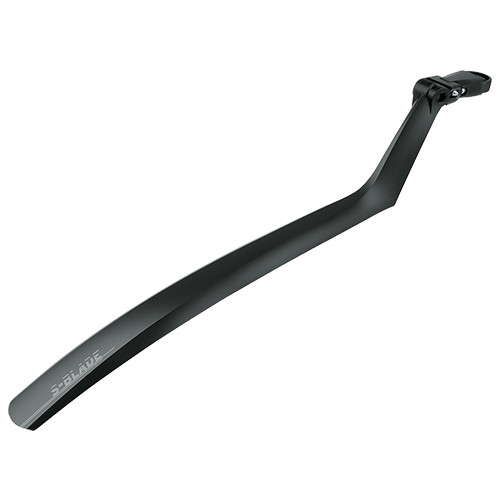 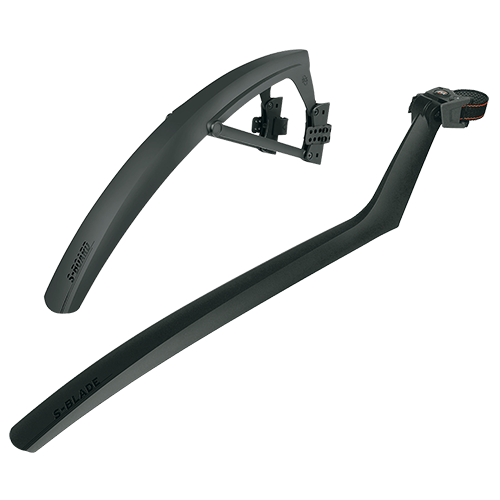 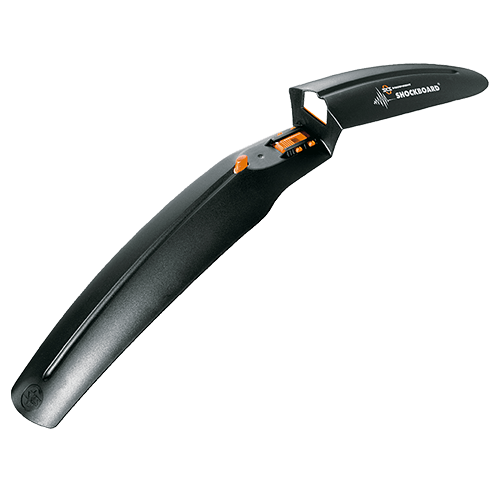 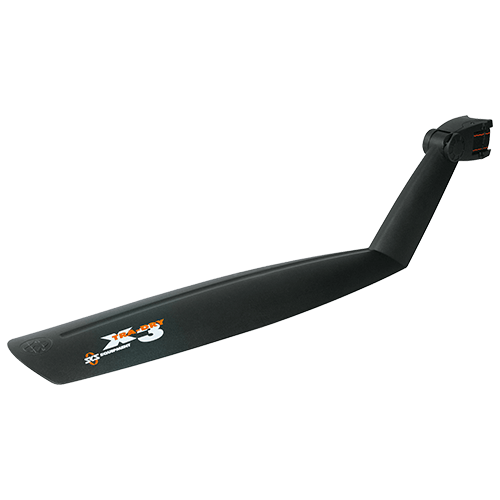 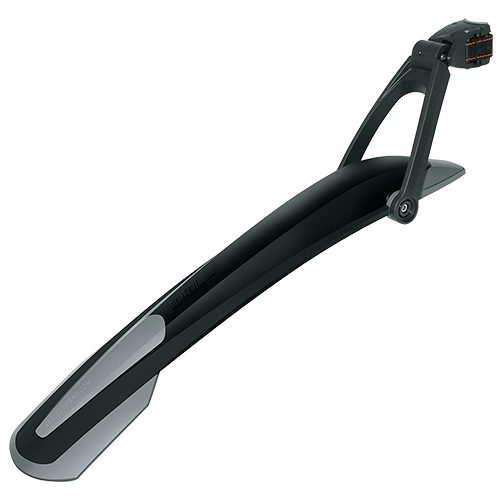 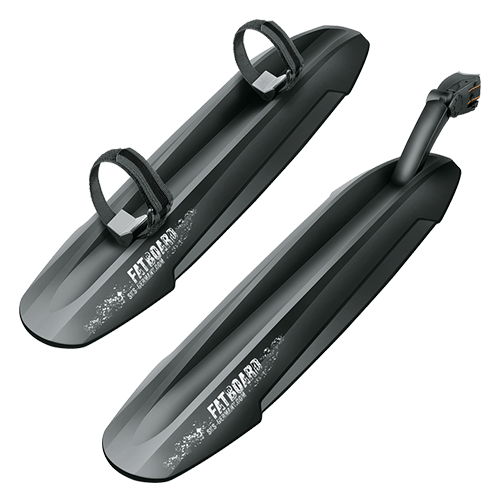 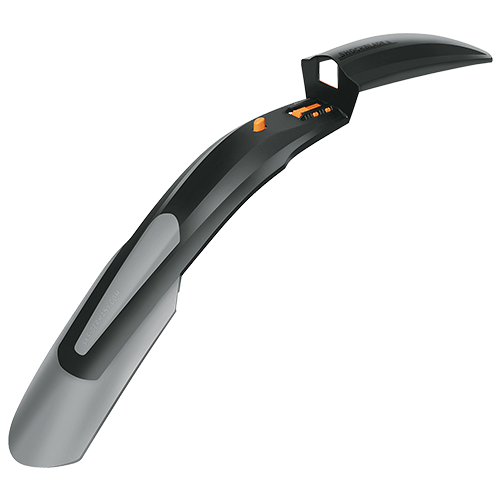 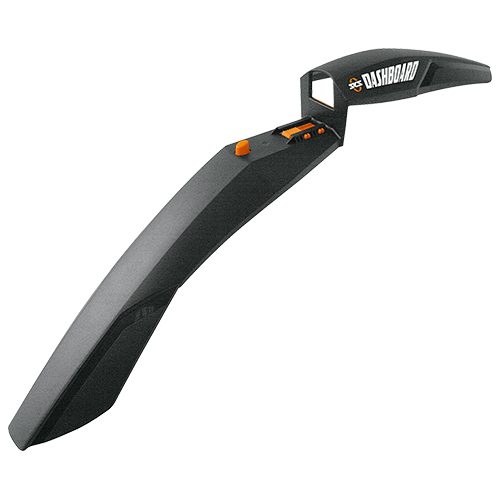 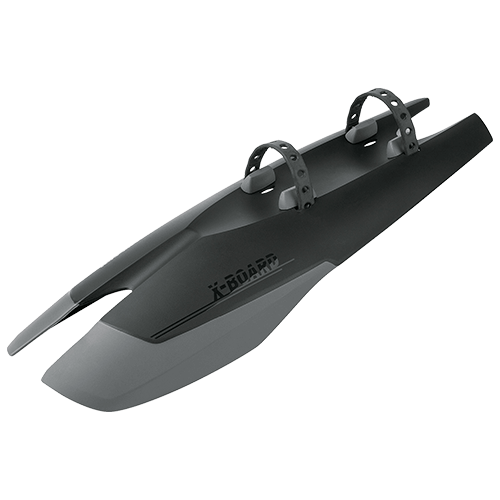 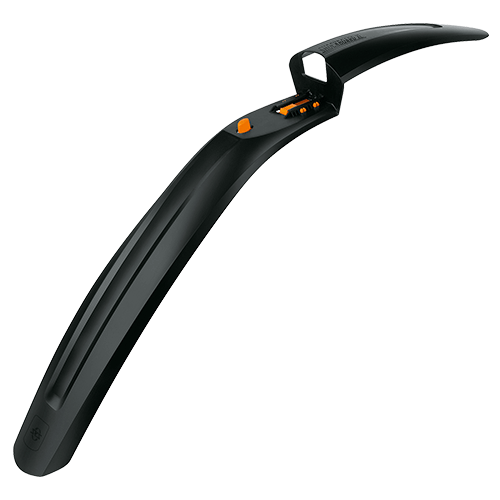 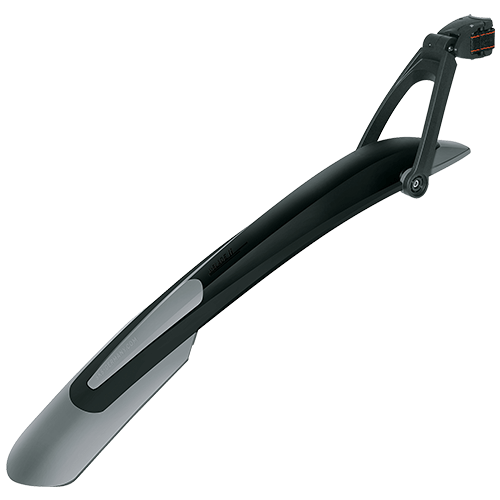 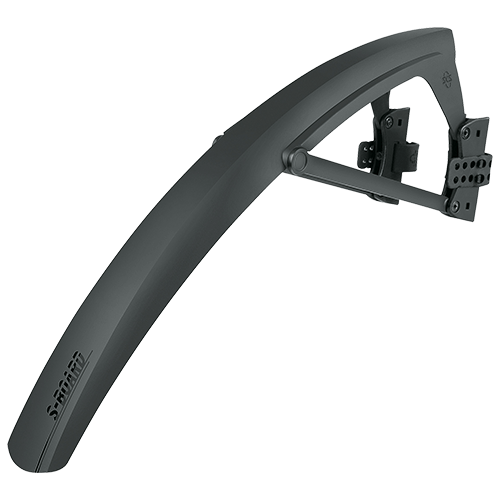 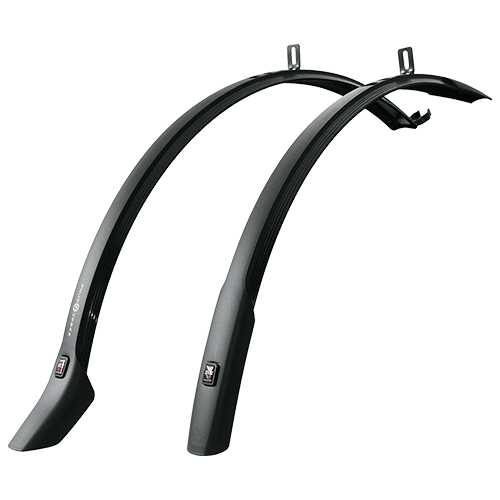 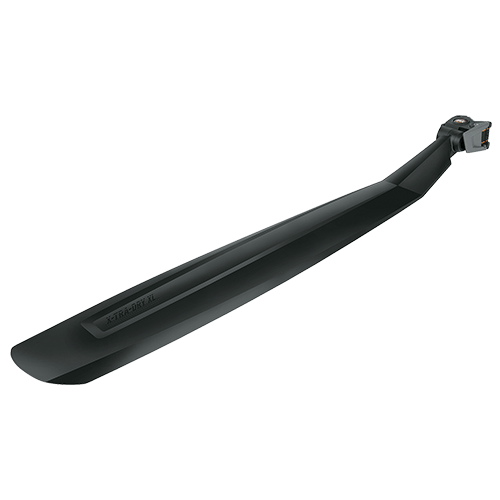 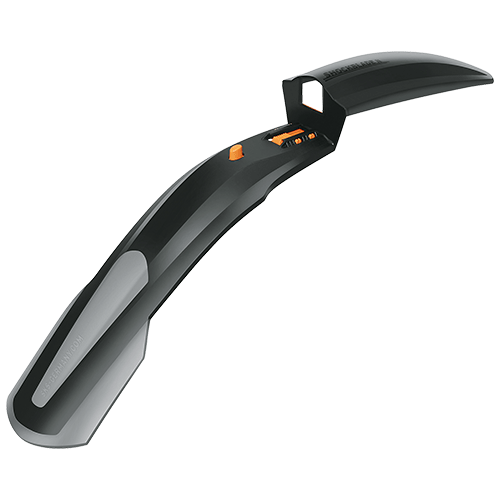 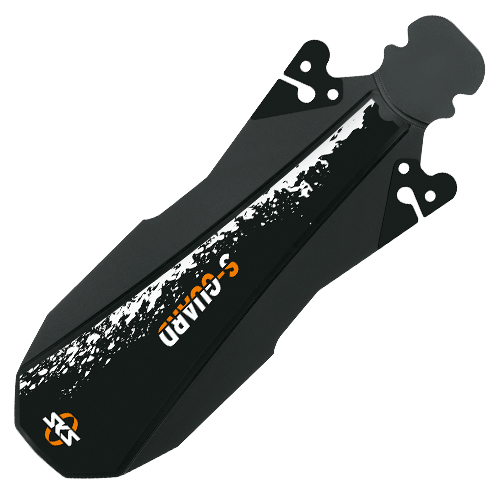 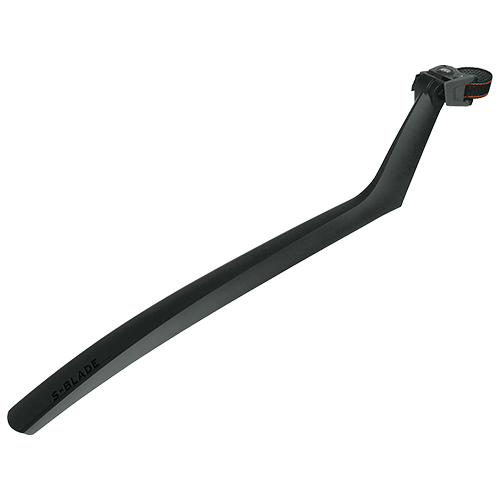 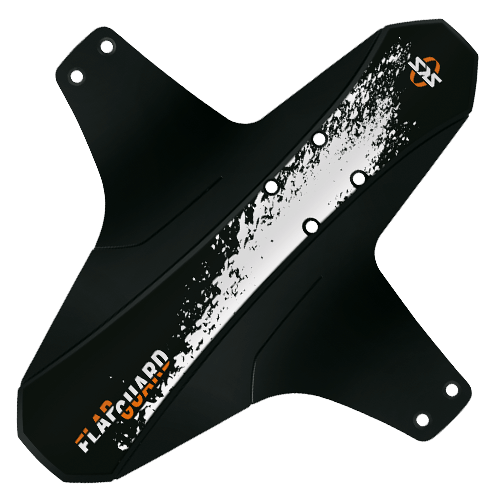 Proprietary construction, in which super-fine aluminium strips are embedded in a matte black plastic coating make these mudguards extremely durable, resistant to bending and UV damage.